Whether you’re a road warrior seeking adventure or you’re just looking for a way to get around town, there’s nothing quite like driving a motorcycle. As you would with a car, you’ll need insurance if you want to protect yourself, your passengers and your investment. And just as you’d shop around for auto insurance quotes, you’ll want to find the best insurance for your bike. Here’s NerdWallet’s guide to understanding motorcycle insurance. Most states require motorcycle owners to buy liability insurance. Liability coverage, which is almost always required, pays out for others’ injuries or damages if you cause an accident. The lowest amount of liability insurance you must buy for your motorcycle is the same as your state’s car insurance minimum requirements. Florida also requires you carry a minimum $10,000 in medical benefits, which can come from your health insurance. Consider buying extra liability beyond your state’s minimum requirements to protect your assets in case you’re sued over an accident. Minimum liability limits might not be enough to pay your legal costs and claims if you’re sued, and creditors could go after some of your assets. Also, check with your insurance company to be sure your bodily injury liability insurance covers passengers; in some states, you might need passenger liability coverage to insure them. Some states also require drivers to carry uninsured/underinsured motorist coverage. This coverage pays out for injuries resulting from an accident caused by a driver who’s uninsured or who doesn’t have enough insurance. Uninsured/underinsured coverage can include property damage, but with some insurers you might need to buy it separately. Check with your agent. Collision: Pays out for damage to your motorcycle, minus your deductible amount. A deductible is the amount you select when you buy your policy that’s deducted from a claim check. Comprehensive: Pays out if your motorcycle is stolen or damaged by something other than a collision with another vehicle. Animal collisions are covered. A deductible applies. 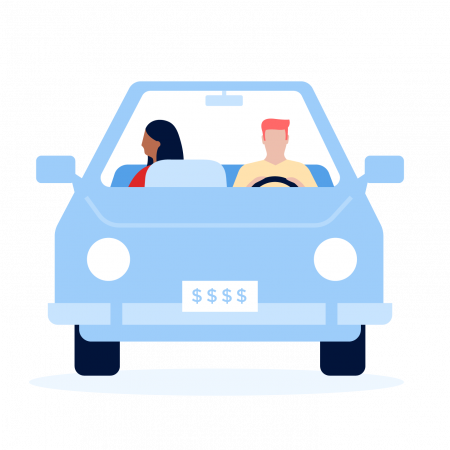 Medical payments (MedPay): Not available in all states, medical payments coverage pays for medical bills if you and your passenger are injured in an accident. Unlike personal injury protection, medical payments coverage doesn’t cover lost wages and other costs. Let’s state the obvious: Driving or riding a motorcycle comes with risks, no matter how careful you are. Medical payments coverage can come in handy if you don’t have health insurance or you don’t have enough. Personal injury protection: Generally pays out for medical bills for injuries you, your passenger or pedestrians suffer in an accident regardless of who’s at fault. (Rules vary by state.) Although some insurers offer PIP, some states may not allow insurance companies to sell the coverage to motorcyclists because of their high rate of accidents. Insurance companies typically offer add-on options, although some may offer one or more as part of their standard policies. For some of these, limits and deductibles apply. Trip interruption coverage: Pays out for lodging, transportation and food if your bike is disabled in a collision far from home, usually defined in your policy as 100 miles or more. Coverage for custom parts, equipment and accessories: In most states, insurers include some custom parts and accessories coverage with comprehensive and collision insurance — typically up to $3,000, though the amount can vary. For many riders, however, customizing a bike is part of the lure of owning a motorcycle. If the chrome parts, saddlebags and personal touches you add to your bike are worth more, you can buy additional accessories coverage, usually up to $30,000. Transport trailer coverage: Many insurance companies offer coverage for trailers valued at up to $7,500. Roadside assistance: Includes towing and labor at the site of your bike’s breakdown. Many insurers offer what is called lay-up insurance during winter, when many drivers put their motorcycles away. During the lay-up period, insurance still covers you against theft and other events that can happen while your bike is in storage. Lay-up coverage saves on your annual insurance costs, but keep in mind that if you take the bike out on the road during the lay-up period, insurance won’t cover you in an accident. Buy another type of policy, such as auto or homeowners insurance, from the same insurer. Insure more than one motorcycle with the same insurance company. Complete a motorcycle rider training course. Belong to a motorcycle riders organization. Ask about a mature rider discount if you’re over 55 or a longtime rider. Actual cash value: Pays out the cash value of what your bike is worth, minus depreciation and your deductible. Stated amount: Pays the amount you selected when you bought the policy. Agreed value: Pays the amount you and the insurance company agreed on when you bought the policy. The amount remains fixed, and no deductible is taken from a claim check. Owners of custom or classic bikes are generally offered agreed value or stated amount coverage. Your insurance cost stays the same after your first accident if your Allstate motorcycle policy is at least 4 years old. Other conditions also apply. Optional “new motorcycle replacement” feature reimburses you for the cost of a brand-new bike if yours is destroyed in an accident. Available for motorcycles less than 2 years old. Basic policy covers custom accessories, such as extra chrome and saddlebags for up to $3,000. Higher limits are available. 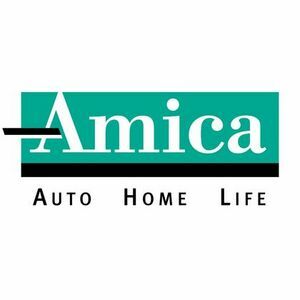 Offers discounts for insuring more than one motorcycle, buying another type of policy with Amica, taking a safety course and having anti-lock brakes and anti-theft devices. In addition to motorcycles, offers coverage for mopeds, motor bikes and scooters. In some states, Auto-Owners gives you a price break if you don’t ride during the winter. In cold-weather states, Country Financial insurance gives you a price break if you ride only part of the year. Offers up to a 25% discount on motorcycle insurance when you add homeowners insurance or another policy. Collision and comprehensive insurance cover up to $3,000 for damage to gear and safety apparel. You can pay more to increase the limit. Offers roadside assistance coverage that pays for towing and labor if your bike breaks down. Collision insurance covers up to $1,500 of safety gear and comprehensive insurance covers up to $3,500 of equipment. Several options are available, including up to $7,500 in coverage for a transport trailer, and trip interruption coverage, which pays for expenses if your trip is cut short because your bike is damaged. Collision and comprehensive insurance cover accessories such as CB radios, chrome pieces and saddlebags. Geico offers several discounts, including for experienced, older drivers and for renewing your motorcycle policy with the insurer. If your motorcycle is destroyed, Better Bike Replacement coverage pays out for a bike that’s one year newer and has 2,500 fewer miles. Offers new motorcycle replacement coverage, which reimburses you for a new bike, with no depreciation. Pays out when your motorcycle is stolen or destroyed within the first year. Waives the deductible up to $250 if you’re unhappy with how your claim was handled. Collision and comprehensive insurance cover safety apparel and custom accessories up to $2,000. Up to $50,000 of coverage is available for custom bikes. Up to $30,000 of coverage is available for vintage bikes. For every year you go without an accident, Nationwide decreases your deductible by $100. Progressive’s standard motorcycle coverage pays to repair your damaged motorcycle with new parts and no deduction for depreciation. Claims of $500 or less don’t count against your record, and rates stay the same. A first accident doesn’t count against you if you’ve been accident-free for four consecutive years. Offers coverage for a variety of motorcycles, including classic and custom motorcycles, factory-built motorcycles, trail bikes, mini-bikes and motor scooters. Offers emergency roadside assistance, protective gear coverage and coverage to pay for expenses when a trip is interrupted due to motorcycle damage. Offers motorcycle insurance from Foremost Insurance Group. USAA members get a 5% discount. Discounts available for having a claims-free driving record, for insuring more than one bike with the company and for passing a driver safety course. Get started	USAA is open only to active military members, veterans and their families.